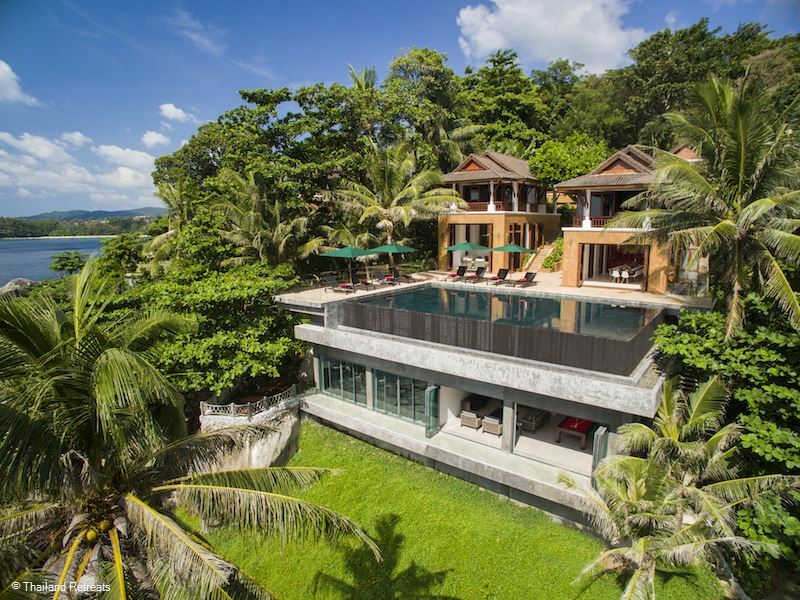 Villa Sunyata is the ultimate luxury Phuket holiday experience for a large group or family. 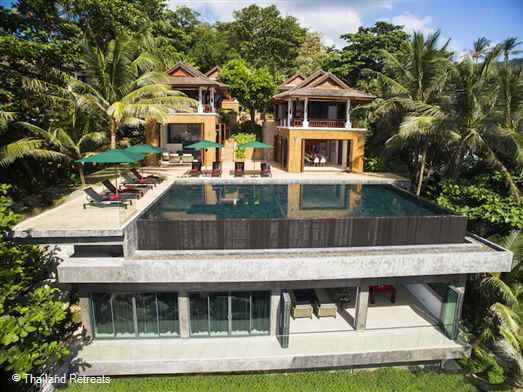 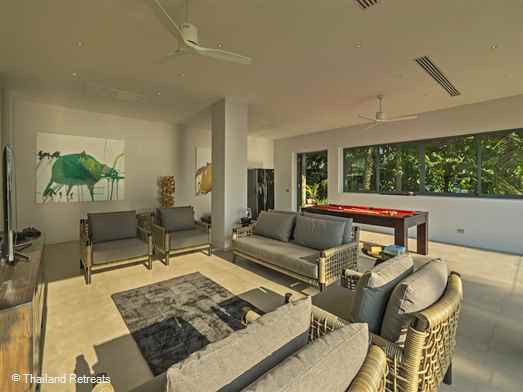 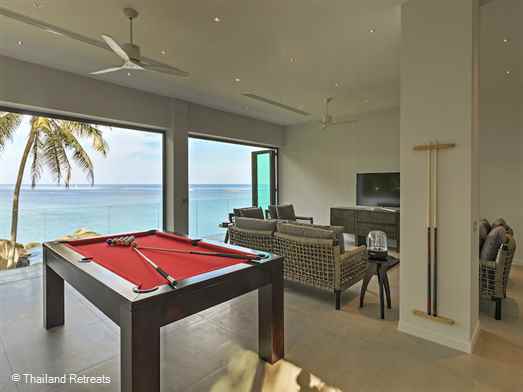 Set in a prime position in Kata on the south west coast of Phuket this 8 bedroom luxury villa has stunning views over the Andaman Sea and walking distance to shops and restaurants. 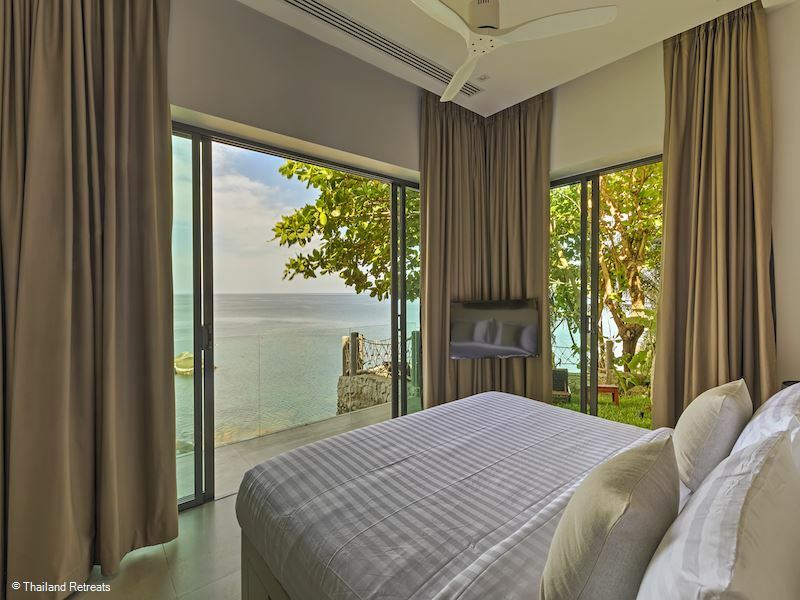 Perched above the bay of Kata on Phuket South West coast, this eight-bedroom luxury villa offers captivating views over the Andaman Sea. 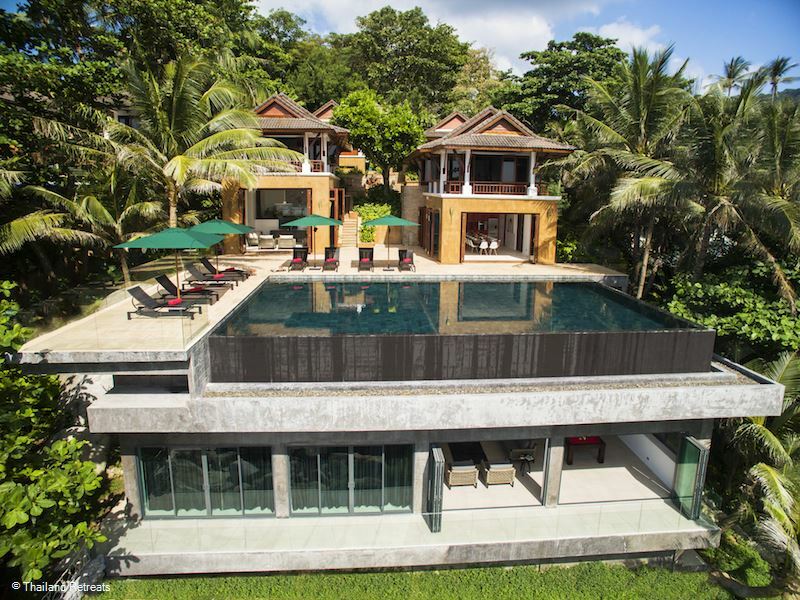 Set among mature tropical gardens, with a stunning infinity pool, Villa Sunyata is a perfect balance between Thai traditional design and contemporary luxury living. 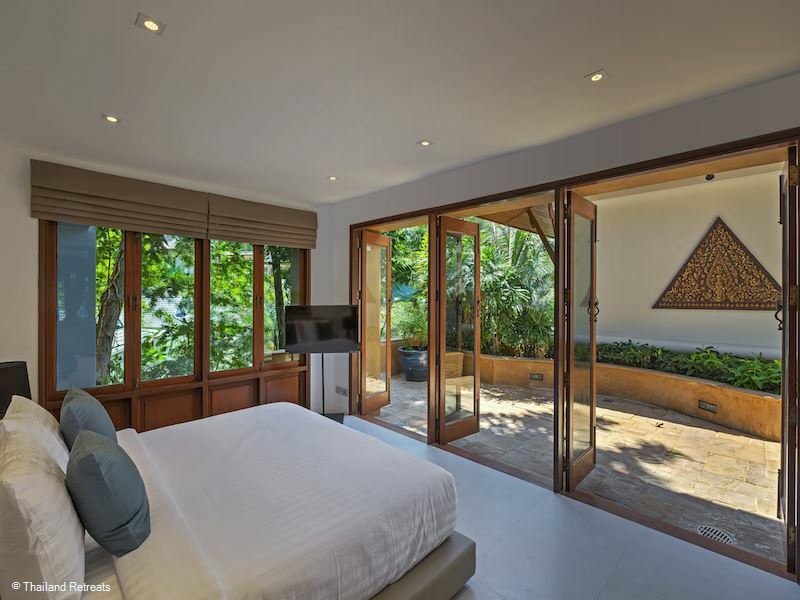 Whether indulging in the tranquility of the villa, exploring the beautiful beaches of Kata Beach and Kata Noi just minutes away, or enjoying the restaurants and shops around, Villa Sunyata is a sophisticated sanctuary perfect for groups of friends or a peaceful family reunion. 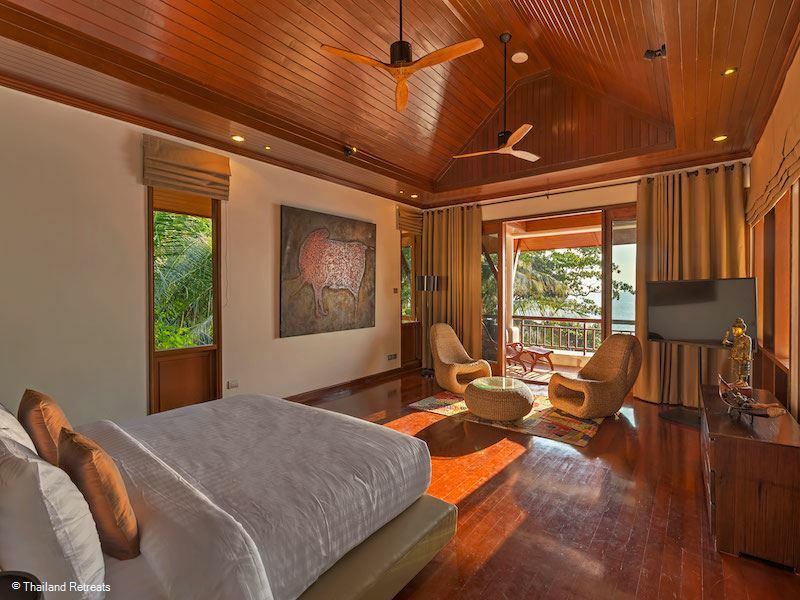 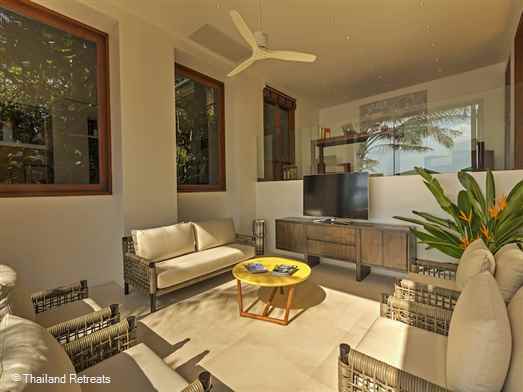 Sunyata Villa is just 5 minutes’ walk to two of Phuket's finest sandy beaches, Kata beach and Kata Noi beach. 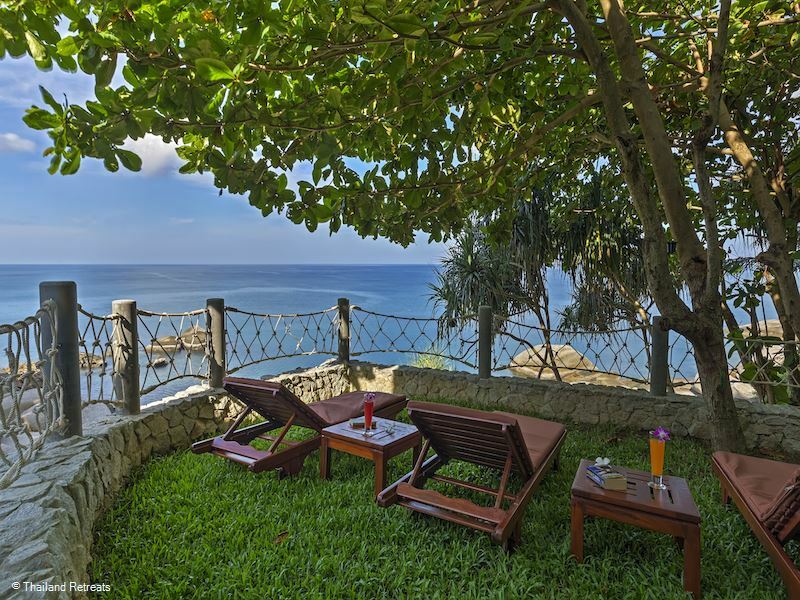 Kata beach (also called Kata Yai) is the larger of the two (1.5km/0.9 miles). Many water activities are available there. 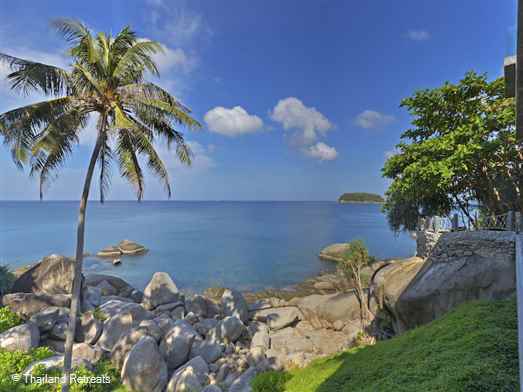 Kata Noi beach is wilder and less developed and will appeal to holidaymakers looking to relax and just lie on the beach. 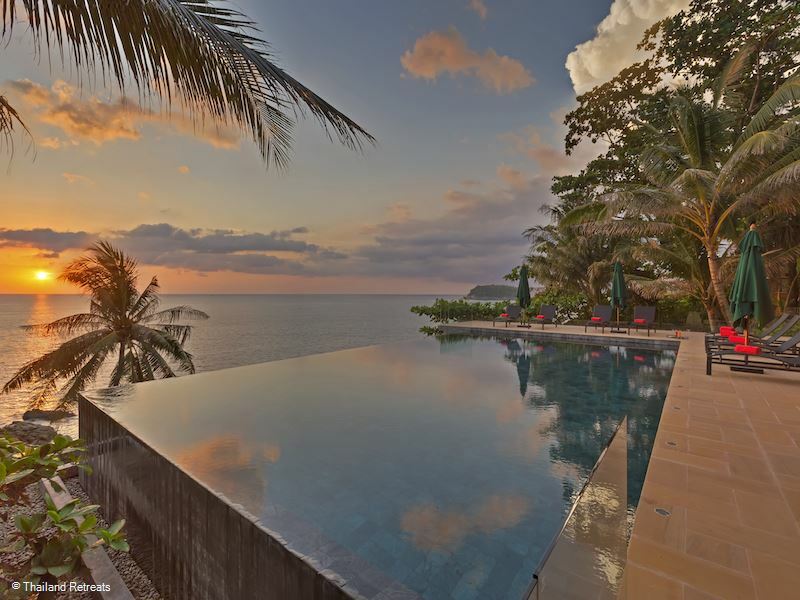 With its ocean-front location facing West, Villa Sunyata truly is and exceptional place to enjoy the most beautiful sunsets of the island. 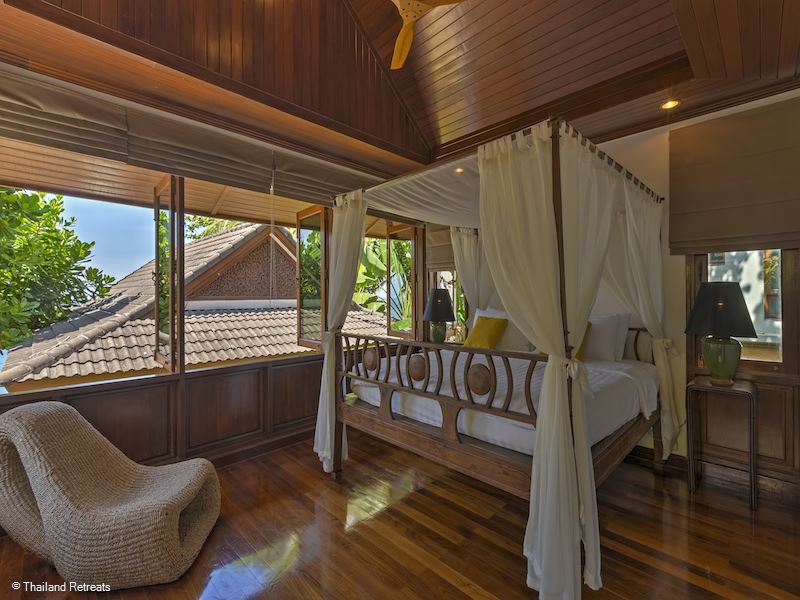 Yachties will definitely want to stay at the villa when taking part in the “Kings Cup” regatta, which has become the biggest sailing event in Asia with over 100 racing boats from all over the world. 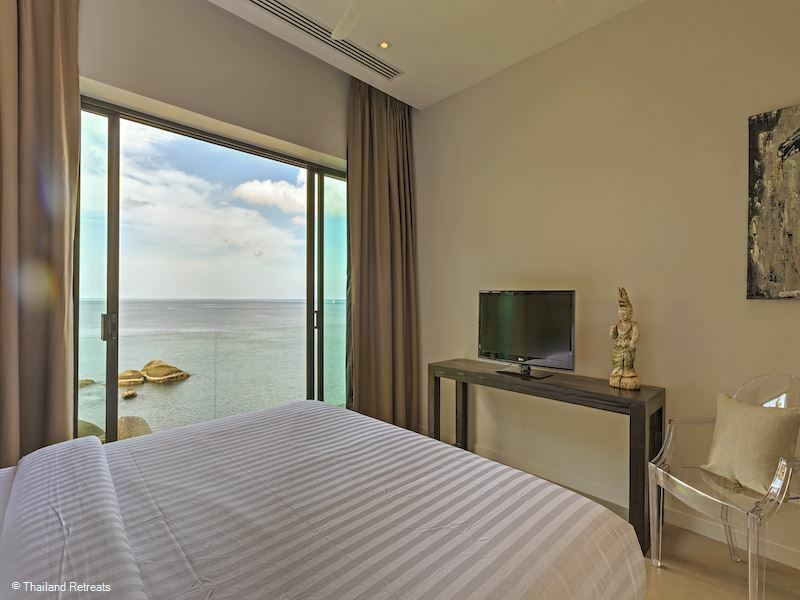 The beach, shops and some of the best restaurants on the island (such as Mom Tri's Kitchen or Da Vinci for example) are easily accessible and within walking distance of the villa. The dining area features a fully equipped kitchen and a large dining table which can comfortably seat 16 guests. 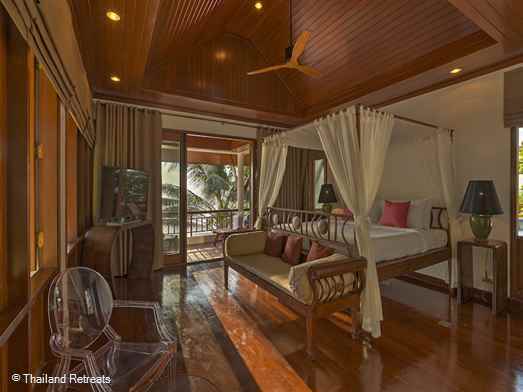 Open sliding windows to enjoy all fresco dining and direct view on the pool and the Andaman Sea. 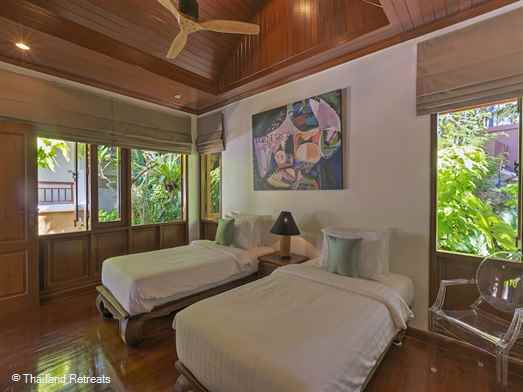 The in-villa menu offers two Thai set menus and a small selection of Western snacks. 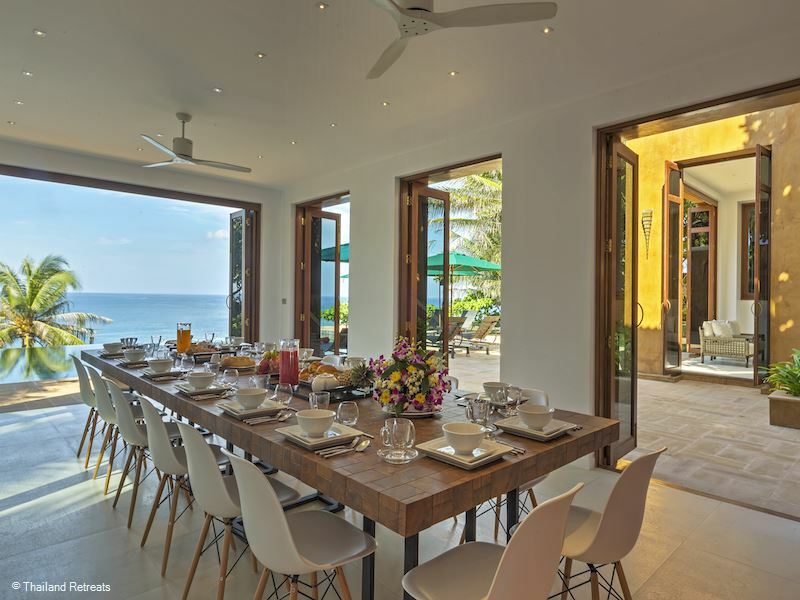 Should you have a request for a dish not on the menu, or a special dietary requirement, please feel free to ask the cook, who will strive to comply with all of your wishes. 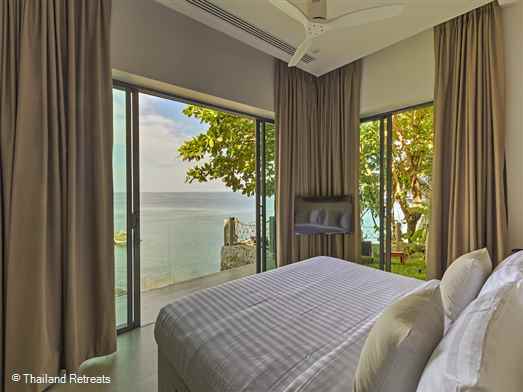 The villa has also partnered with neighboring restaurants in Kata which can cater western food on order. Food and beverage charges will then be billed daily and the staff may request a top-up on the F&B (cost price +10%). Fiber optic internet connection. WIFI is complimentary. 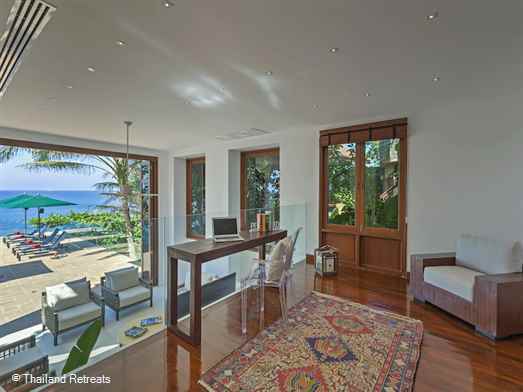 selection of movies, books, snorkeling equipment, yoga mats. 1 return airport trip. 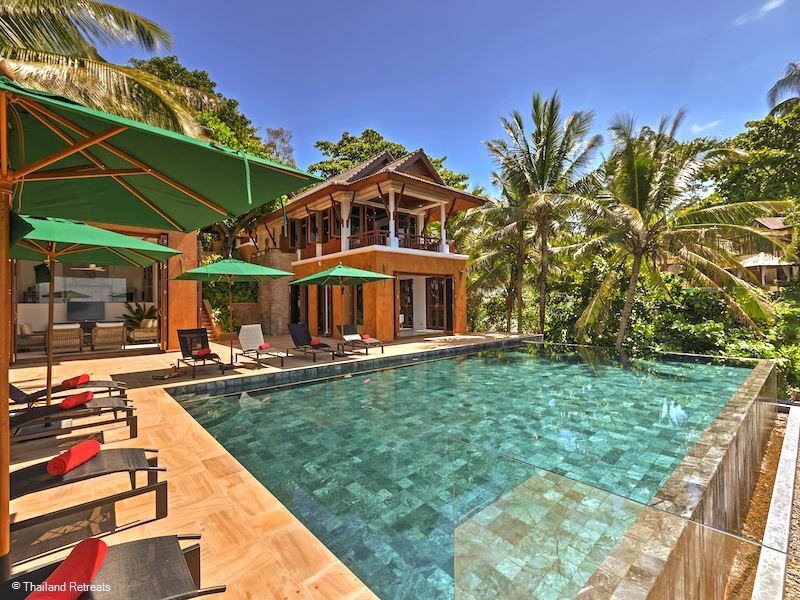 Extra transfers at additional cost. A short distance from Karon beach, the pleasant bay of the famous Kata beach is ever popular due to its spectacular palm-lined beach, amazing restaurants and lively nightlife. 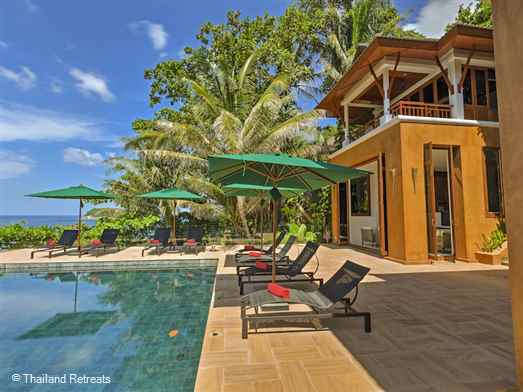 More laid back than action packed, this a popular destination for both surfers and sun seekers alike. 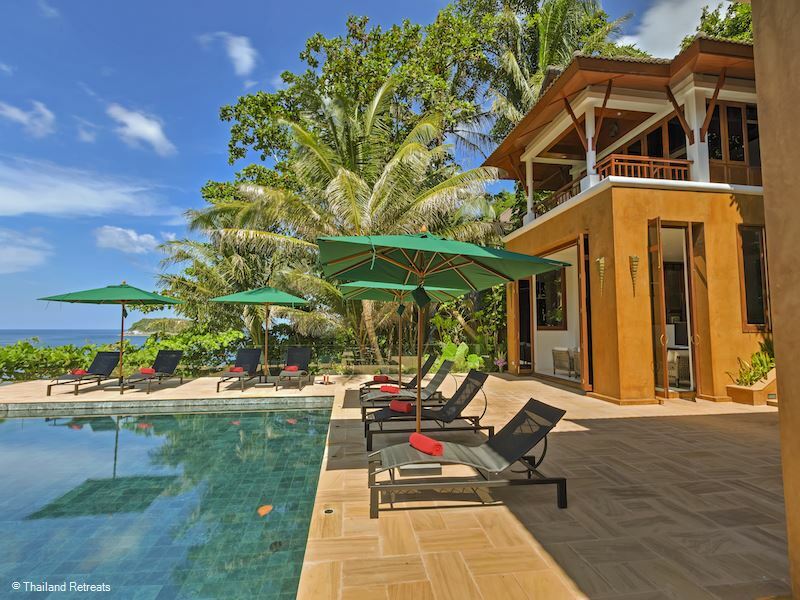 This villa is the ultimate in luxury, privacy and comfort. I absolutely enjoyed our stay and almost did not want to go home. 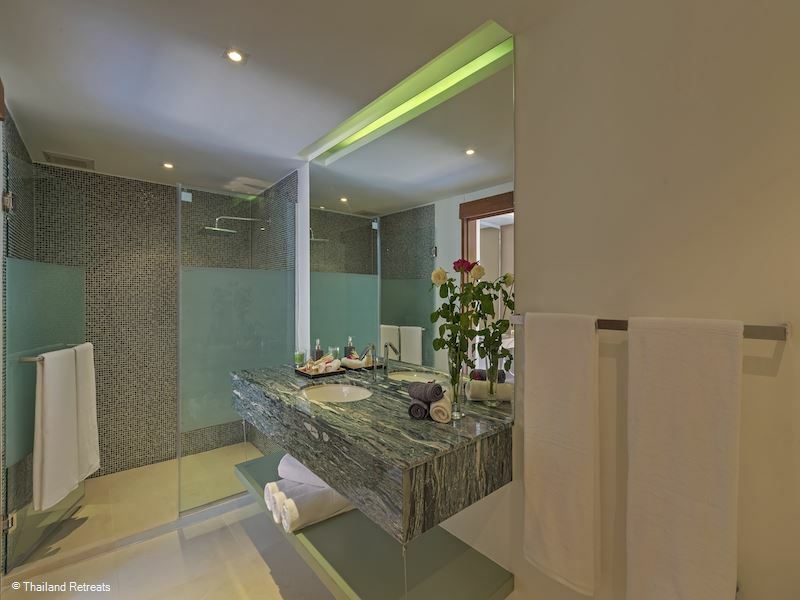 The villa is exquisitely designed and furnished, very well-kept and clean. The views are to die for especially from the infinity pool overlooking the bay and the staff were great. I already miss the magic of this place and feel that our stay was way too short. 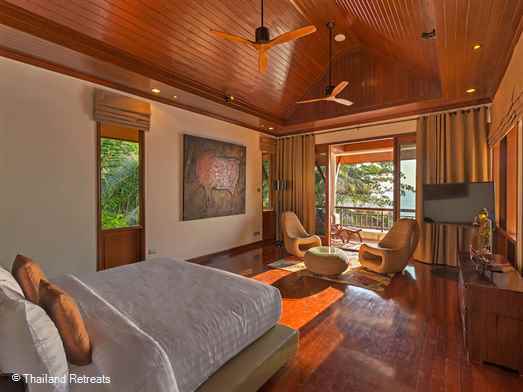 I've stayed in many different luxury villas but this one is my favorite! I love how the entire villa blends modern simplicity and clean lines with traditional touches. It was like being in paradise with its picturesque and verdant landscape.